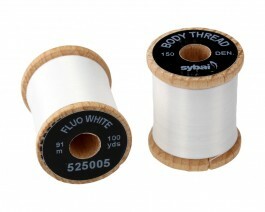 The flat tying thread, very versatility. Perform very well as the ltying thread, but also as a fly tying material for the body smallest nymphs or dry flies. 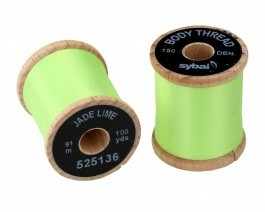 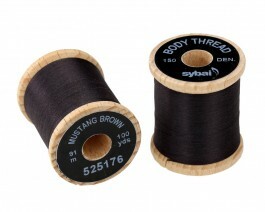 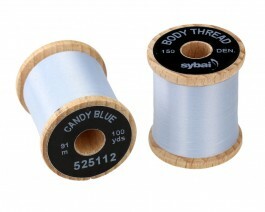 The thread is wound on wooden spools turned - standard size - perfect for working in the bobbin. 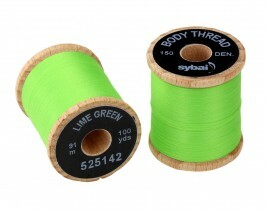 Size: 150 den. 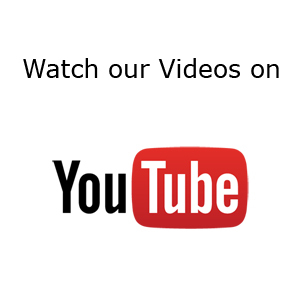 Important information: Right now we are transfering from wooden spools to plastic version. It may happen that some Body Thread will not be available in stock. – this is only temporary situation.